This plugin supports clients modded with the VillageMarkerMod/LiteLoader mod. It sends information about the villages to all connected clients. 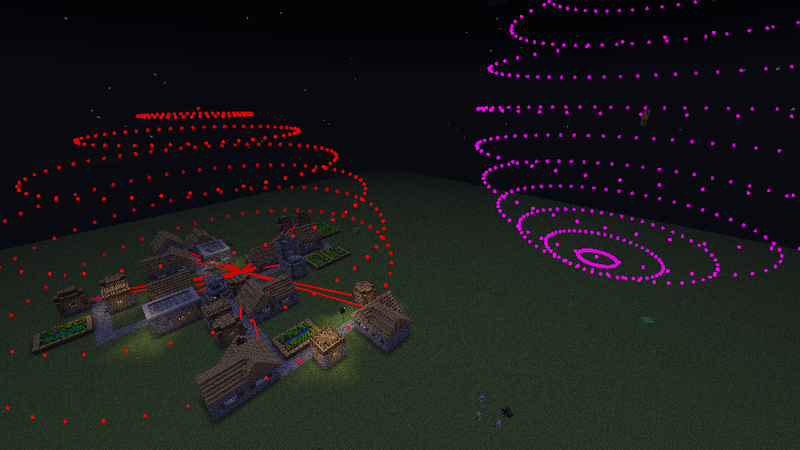 Note: Just modded clients will process that information to visually indicate village bounds. Until version 0.3: Every client gets the village information from server. Follow the instructions on VillageMarkerMod page to mod your client. Support for clients modded with the VillageMarkerMod. If you are searching for a new version, just trigger me via an PM. Most of the time I just didn't noticed that a new minecraft version was released. Hello,author.I'm a Chinese.I want put your VillageMarker transport to China.I will put your name and the network address on the web away.Plaese hurry,Thank you very much! Is there a 1.10.2 liteloader version? I tried the 1.10 but liteloader claims a mismatch version and does not load the mod. New version is on its way (for 1.10.2, sorry misread the version as 1.11.2 -.-), should be available soon. Please give me more information about the crashes. Hello, I added the version 1.8.6 and 1.9.4 and a fix for 1.8.3 to my file section. Can u make update for 1.9.4? Hi @eruvanos , thank you for this awesome plugin! I am using spigot 1.8.3 with your plugin + Liteloader 1.8 mod, and the mod works all right except the village radius. The radius part of the village information sent by the server seems to be the number of doors instead of the actual village radius. A village with only 1 valid door is rendered as a super tiny sphere, while a village small in area but with a lot of doors can be rendered as a huge one. Both scenario works as intended (radius=32) in single player. I tried to fix this through source code, and came across ClientUpdatorV2.java. After some research, I tried replacing sb.append(":").append(village.c()); on line 113 with sb.append(":").append(village.b());, and this seems to fix the issue for me. Can you check this out, and probably fix it in the next version if confirmed? Thank you! ... you said every client gets village info .. how?? throught commands? f3 info screen? Thanks, I do not check updates very often, just realize when getting a mail from this account that there is a new message. hi there is there any chance of a update for spigot 1.8.3? Hi eruvanos. I decided to just "release" that aforementioned 1.8 on the minecraft forum page. Kabo has been offline for such a long time now so I don't think he'll mind. However, in the SMP/ folder I did include the (modified) version of your bukkit plugin to go alongside that 1.8 version. The soure is available as a -src.zip file so you can just check out the changes I made to your plugin (coming from that old 0.31b version). I did for example include a "Compression" option that seems to significantly reduce the packetsize. But I'm not entirely sure if the entire network stream for the minecraft client <-> server is compressed nowadays. Haven't kept up to date *that* much since the move to netty.